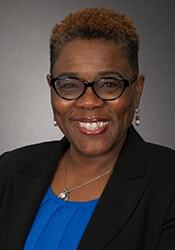 Deborah Callahan is the NFRC Chief Executive Officer (CEO), formerly she was the Chief Operating Officer and, prior to that, the Deputy Executive Director. She has been with NFRC since 2005, and has 25 years of experience in association management. Deb holds a BA and MA in history, and is a Certified Association Executive (CAE), a Certified Professional Mediator, and a HR Professional – awarded from the professional organizations to which she belongs: American Society of Association Executives, Association of Conflict Resolution, and the Society for Human Resource Management, respectively. Tom Barnett is the Senior Director of Programs for NFRC. Before joining NFRC, Tom worked within the corporate R&D groups for Georgia Pacific and Masco Corporation in various product development and innovation leadership positions for the past 10 years. Prior to that, Tom held various product design and development, project management, and innovation leadership positions across several retail and commercial product categories. Tom is a graduate of the United States Military Academy with a BS in Engineering and also has an MBA from Indiana University-South Bend. 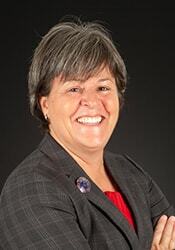 Robin Clayton serves as the Chief Financial Officer for NFRC. Since 2005, Robin has been responsible for the financial stewardship of NFRC. In this role, she is responsible for budgeting, financial reporting, and administrative operations. Before joining NFRC, Robin has served as Controller at the American Nurses Association and as Staff Accountant at the Brady Campaign. Robin has 30 years of experience in the accounting field. She graduated with a BS in accounting from Hampton University. Robin may be contacted with questions regarding NFRC’s finances. Jessica Finn is responsible for Member Relations for NFRC. She received her undergraduate degree in Human Relations from High Point University and her Master’s Degree in International Non-governmental Organizations from Webster University in London. Jessica was a United States Peace Corps volunteer for two years in St. Lucia where she specialized in community and youth development. She has been with NFRC since 2011, which was her introduction to the fenestration industry. Contact Jessica if you have any questions about NFRC meetings, your membership status, or becoming an NFRC member. Scott Hanlon is the Program Director for NFRC. Though he has been with NFRC since 2006, Scott has worked in the fenestration industry since 1995. 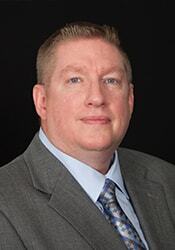 With an Associate’s Degree in drafting and design, Scott began his professional life as a graphic designer, before using those same skills to become a certified simulator at NCTL, and then moving to NFRC to become the LAP Manager. As NFRC grew, so did Scott’s role, as he now manages all technical and ratings programs for NFRC as the Programs Director. He also holds a BS in Business Management from the University of Phoenix. Contact Scott if you have any questions about any of NFRC’s Programs. Tom Herron is the Senior Director, Market Development and Partner Engagement for the National Fenestration Rating Council (NFRC). He has 28 years of combined experience as a newspaper reporter, business development manager, and leading marketing and communications programs. Tom has received awards for feature writing and sports reporting from the Society of Professional Journalists and awards from the U.S. Green Building Council, the City of Miami, and Georgia Tech for contributing to green building education. He attended the University of Maryland University College, earning a BS, MS, and MBA. 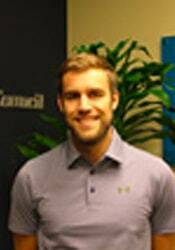 Tom is also a member of Phi Kappa Phi and holds a graduate certificate in Nonprofit Management from Harvard. Tom served as vice-chair on the board of directors for the Sustainable Buildings Industry Council and is a LEED Green Associate. Airienne Jeffery, joined NFRC in 2013 and is responsible for daily coordination of NFRC’s PCP program by selecting, ordering, and scheduling products; reviewing and grading of verification tests and processing of notification reports. She is also responsible for creating invoices for annual and semi-annual billing. She earned her BBA in marketing from Howard University. Contact Airienne with any questions about billing or the PCP Program. Paul Johnson has served NFRC accounting since March 2015. 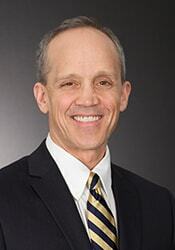 His essential tasks include, but are not limited to preparing documentation and posting journal entries to computerized accounting software, maintaining accounts in a computerized database, as well as reconciling accounts receivable and general ledger accounts. He is an executive board member since January 2012 of the Pauperism Project, Inc., a non-profit organization in the DC area that aids those in destitute conditions. Duties include recognizing and upholding all fiduciary responsibilities vested in the board and actively participating in decisions made by the board on behalf of the members. He has received his BS in Business Administration, minoring in Finance from Delaware State University. He may be contacted with questions regarding invoices, charges, and record adjustments. Kevin Louder, Program Manager. joined NFRC staff in May 2017 after spending 17 years in the fenestration testing industry. He began his career as a test technician for Architectural Testing, Inc. in York, PA, eventually becoming the Manager of the Thermal Testing and Computer Simulation department. Kevin has a BS degree in Mechanical Engineering and is a licensed Engineer in Training in Pennsylvania. Contact Kevin with any questions regarding the residential and commercial programs (LAP, CAP, CEAP) or for technical program support. 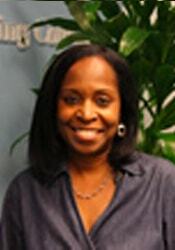 Robin Merrifield joined NFRC in 2009 and is the Programs Training Manager for NFRC. 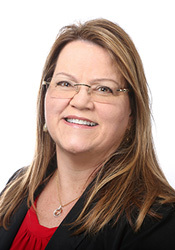 Prior to joining NFRC, Robin worked for a healthcare research non-profit organization for 19 years, starting as membership coordinator and ending as Director of Education, with stops in every department on the non-profit along the way. Robin is a member of the American Society of Association Executives (ASAE). Contact Robin if you have questions about consumer education, NFRC documents, the NFRC Retailer Assistance Program, or if you have ideas for consumer outreach. As NFRC’s Director of Business Processes and Information Management Systems, Una oversees the development of information systems and the product development and project management office. Una’s work experience spans information technology, product development, communications, web development, applications development, product development, and project management. Prior to joining NFRC staff in 2010, Una spent eighteen years at Cornell University working in publishing, editing, resource, and environmental economics, commodity promotion research and computer science. Contact Una with questions regarding NFRC’s information solutions, product development, and information strategies to evolve NFRC programs and drive NFRC’s mission. Stewart Nicholas serves as Manager, NFRC Software Applications. Before joining NFRC he provided oversight of the WDMA/NFRC Certification Program at Administrative Management Systems, Inc. (AMS, Inc.). Prior to his involvement with NFRC certification he served over 10 years as a uniformed member of the U.S. Army Signal Corps. In 2006 he traveled to the nation of Afghanistan, with the U.S. Army’s 10th Mountain Division, in support of Operation Enduring Freedom. Stewart is a graduate of SUNY Empire State College, where he studied Information Technology and Information Systems. Jen Padgett has been with NFRC since 2009, coming to us from Philips Products, a residential window company based in Elkhart, IN with plants across the country. While at Philips, she worked exclusively with NFRC and Air Water Structural to assist with rating their products. Contact Jen with any question regarding support for the Component Modeling Approach Software Tool (CMAST). Jen also assists with the CMA Product Certification Program (CMA), and applications development at NFRC. Kristin Pate joined NFRC in 2016 and is the Meeting and Office Manager providing administrative support to the CEO and Program Directors. She is also responsible for planning NFRC’s meeting and workshops. Kristin brings with her extensive experience in administrative support and customer relations. She holds a B.A. in sociology from the University of Maryland. April Rawson joined NFRC in 2016 as the Commercial Program Manager. From her roots in the steel industry throughout her work within the building products industry and with manufacturers of top consumer brands, April has been creating comprehensive marketing strategies and leading product development initiatives. As a recipient of a Stanley Black and Decker Worldwide Incentive Nomination Award, April further demonstrated her leadership skills and innovative thinking as she volunteered to create and lead a successful global wellness program. April is an honors BBA graduate of Kent State University with a double major in Marketing and Management and earned her MBA from the Franciscan University of Steubenville. Michelle is the Quality and Compliance Manager for NFRC. Though she is new to the fenestration industry, her BS in Ecology and Environmental Biology from Appalachian State University and her LEED AP credential, gives her a background in building energy considerations that translates well in her current position. Prior to NFRC, Michelle put her project coordination and logistics skills to use at a fair trade chocolate company and at a civil engineering consulting firm. Contact Michelle if you have any quality or compliance issues. Jamila Jennings is an IT Business Analyst for Applications Development. She has supported private, government and public sector clients over the past seven years, she received a Business Analyst Certified Professional (BACP) certificate and brings a wealth of knowledge about information systems and database development. Jamila may be contacted with questions concerning our application tools. Steve Urich is the Director of Programs Development. He joined NFRC in August 2016 after spending 20+ years in the fenestration industry. He began his career as a test technician for Architectural Testing, Inc. in York, PA, eventually becoming the Manager of the structural test wall. After a short time spent working for a window manufacturer, he spent nine years working for Keystone Certifications, including five years as an IA In-Responsible-Charge. Steve has a BS degree in Mechanical Engineering and is a licensed Professional Engineer in three states. Contact Steve with any questions regarding the residential and commercial programs, training, and inspections. Dan joined the NFRC staff in August 2015 as the IVP Coordinator and is excited to join the fenestration industry. Previously he worked for six years at Cigna Health, managing their provider database and honing his skills in data analysis and process improvement. He also had a short stint in the industrial laundry sales field. Contact Dan with questions about the NFRC IVP Program. Adriana Vargas is the Digital Communication Specialist for NFRC. She drives, manages, and executes NFRC’s web strategy and enhances NFRC’s brand awareness. She posses over 16 years of progressive experience within the marketing and advertising industry. Expertly skilled in delivering creative, innovative, and forward-thinking marketing concepts and strategic plans. Adriana received a BS degree in Graphic Design from the University of Maryland. Steve McDowell is the Residential Program Manager. He is responsible for engaging NFRC stakeholders and maintaining the Product Certification Program. He joined the NFRC in September of 2018 after spending 16 + years in the fenestration industry. Steve began his career as a Quality Technician for a window manufacturer, eventually moving into the role of Purchasing Agent during his seven-year tenure. He then spent nine years working for Keystone Certifications, four as an Inspector and five years as the Inspection Manager. Steve has a BS degree in Business Management from Pennsylvania State University. As NFRC’s Development Manager, Jeremy maintains and expands relationships with current and future stakeholders with a focus on the sustainability movement. Previously he provided development support for an environmental nonprofit with a mission to restore and protect the watershed of the Chesapeake Bay. Jeremy received a BS degree in Kinesiology from the University of Maryland.